You will receive an email with digital download instructions immediately upon purchase. There is nothing rewarding about judgment... well, other than the fact it keeps you small and gives you plenty of excuses not to change or receive anything. Who do you judge the most? Well, YOU of course! But do you really know what judgment is? Did you know that everything that makes you heavy has some kind of judgment in it -- whether it is positive or negative? 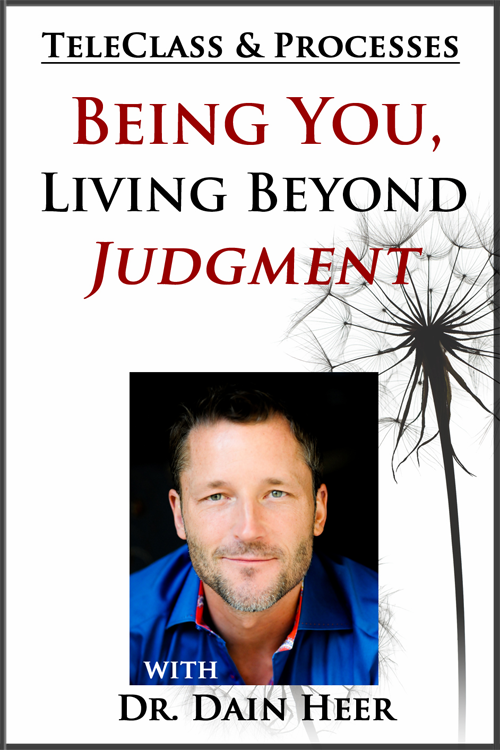 If you’re willing, this 1.5 hour telecall facilitated by Dr. Dain Heer can give you the tools to start getting out of judgment of you and everything today! What would your life would be like if you were willing to give up judgment, discrimination, discernment and conclusion and live in the space and possibility of no conclusion?